& poverty in Sri Lanka. 1. The Wahhabi sect does not tolerate other religious or ideological beliefs, Muslim or not. Religious symbols by Muslims, Christians, Jews and other believers are all banned. http://en.wikipedia.org/wiki/Freedom_of_religion_in_Saudi_Arabia. * Iran bans Buddha statues https://www.youtube.com/watch?v=bBPvKGbR9Fg. 2. Restriction on Apostasy (converts from Islam to another religion): * The concept and crime of Apostasy has been extensively covered in Islamic literature since 7th century. A person is considered apostate if he or she converts from Islam to another religion A person is an apostate even if he or she believes in most of Islam, but verbally or in writing denies of one or more principles or precepts of Islam. For example, if a Muslim declares that the universe has always existed, he or she is an apostate; similarly, a Muslim who doubts the existence of Allah, enters a church or temple, makes offerings to and worships an idol or stupa or any image of God, celebrates festivals of non-Muslim religion, helps build a church or temple, confesses a belief in rebirth or reincarnation of God, disrespects Qur'an or Islam's Prophet are all individually sufficient evidence of apostasy. * The Islamic law on apostasy and the punishment is considered by many Muslims to be one of the immutable laws under Islam. It is a hudud crime, which means it is a crime against God, * In numerous Islamic majority countries, many individuals have been arrested and punished for the crime of apostasy without any associated capital crimes. ~ Morocco – illegal to proselytise conversion (15 years' imprisonment) Only country not listed by Pew. And Research on Theravada Buddhism. The picturesque city of Kandy in Sri Lanka draws Buddhist devotees from all over the world to pay their homage to the Sacred Tooth Relic of the Gauthama Buddha. But Many Buddhist Monks visiting Kandy have to undergo difficulties due to lack of Suitable accommodation. If is therefore proposed to build a three storied building at the premises of the Malwatta Monastery in Kandy. The building complex wills consist of modern residential, a well equipped library, an Assembly Hall, Centre for Meditation, a Shrine Room and a Museum where life size statues of the Most ven. Velivita Saranankara Sangharaja Mahathera, the Most Ven. Upali Maha Thera of Thailand who reintroduced higher ordination (upasampada) to Sir Lanka in 1753 and king keerthi Sri Rajasinghe of Sri Lanka. The project is expected to cost over 12 Million rupees. We hope to embark upon this project with the generous contributions form the philanthropists in Sri Lanka and abroad. The Government of Sri Lanka has declared this project as a charitable institution. Hence the contributions will be exempted from income tax. Your goodwill and contributions to this project will be gratefully accepted. 1. Distributed food packages, cloths, soap, and toothpaste like most needy requirements to Tsunami affected people. 2. Provided wheel chairs for 12 disable males to swell lottery tickets by promoting self employment. 3. Provided 150 eyeglasses for eye patients and 30 equipments provided for ear weakness. 4. Provided financial support for serious surgeries to the helpless families. 5. 8 Programs have been launched to prevent the killer disease of dengue spreading over the countryside. 6. Provided facilities to 18 number of poorest widow families to stars self employments. 7. Selected 40 farm families to provide guidance to start paper industry through banana cultivation by introducing a domestic saving system through small groups forming. 9. Under the environment protection program, there 1000 herbal medical plants were distributed. 10. Provide guidance to 11 youth who dropout school for tertiary education. 11. Provide school needs for 400 school children. The mission of the UIDF is to help people who don't have at least minimum facilities to live. 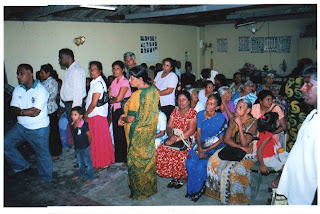 We help the people those who suffered by the war in Sri Lanka. And also We have donated eyeglasses, books, wheel chairs for disables and etc. We have given necessary items for the people whose who lost their houses by flood, toilets for poor families, roofing sheets, Desks and Benches for Children of Sunday school classes, storm water drainage for highly populated areas where most of the poor people live. Our next step is to facilitate the people with publicly usable building and services those who lives hardly in highly populated areas. And we intend to provide employment opportunities for disables those who currently pending by their family members. We prefer if you join with us and help the people who lives in North Sri Lanka and who have a lot difficulties right now. We prefer if you send us e-mails or contact us through phone line. Here we inform you about our progress of projects which we have currently involved with. And we post all the information and reports of our past, present & future operations. IF YOU JOIN WITH US WE CAN DO MORE. Please go to the bottom of this page to be a follower. Tell others about us and try to do something helpful. 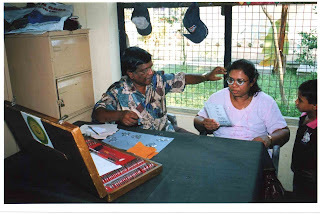 Copyright 2009 All Rights Reserved - UIDF - Sri Lanka. Awesome Inc. theme. Powered by Blogger.